A lot of the work you see on this website comes from the world of cycling. What many people don’t realise is that the background to my professional work in the cycling and media industries comes from spending most of my life studying theatre and performance. Earlier this year I joined Dr Robin Dixon and Dr Chris Hay in the Department of Performance Practices at the National Institute of Dramatic Art (NIDA). This department does the ‘theory stuff’: Performance history and analysis, unpacking scripts against their original cultural and historical moment, looking at how big ideas from those time periods come through in the art that was being created alongside them, critical thinking and theoretical tools for describing work that’s happening right now. There is so much history within these walls. This component of teaching and lecturing at NIDA comes at a time when conservatoire training institutions around the world are changing their course structure. Academic training is increasingly seen as a necessary addition to a rich practical workload. Robin, Chris and I have worked together over the last few years in the Department of Performance Studies at the University of Sydney, too. This department takes a more theoretical approach to studying performance and embodied practice, and the course becomes a major or minor unit of study within a broader degree. These students typically split their time between study, casual jobs and the odd overseas holiday experience during semester breaks. 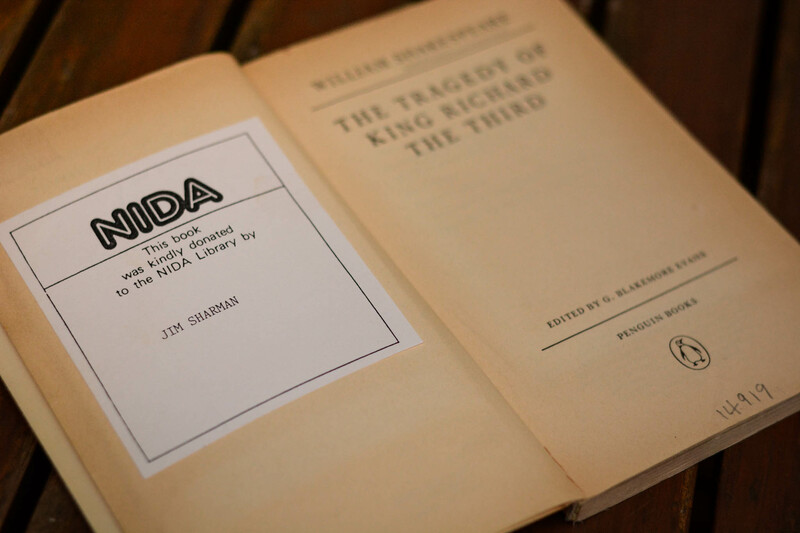 One of the key differences about the classes at NIDA is that everyone is completely immersed in what they’re studying. It’s exciting to see how this leads people make links between theory and practice; ways that students sometimes struggle with when they are less engaged with the practical outcomes of their study. The immersion of the NIDA cohort in creative practice means they develop an ease in describing the interactions between the multiple elements that produce meaning in a single, fleeting moment; elements such as bodies, sound, light, costume, props, design, word choice, motives, themes and ideas. This strikes me as a skill that is becoming lost and undervalued in most people’s day-to-day, where we tend to focus more on meaning as conveyed through the black and white of words alone. 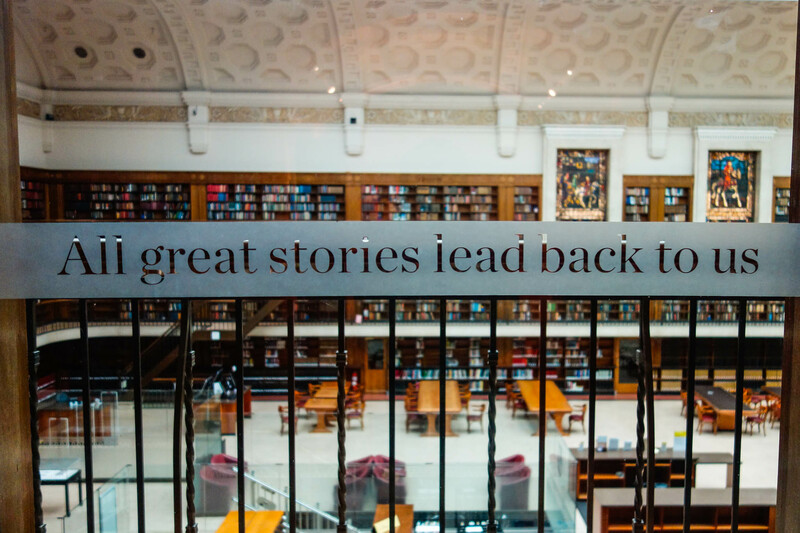 Wise words, State Library of New South Wales. As a teacher, it has also been exciting to see those moments when research moves past something to get done for an assessment task and becomes curiosity-driven instead; tracing links between a text, a time, a person, a place, and using them to build into artistic practice here, now. Teaching some of these same concepts at different institutions, one more theoretical and one highly practical, has thrown up some fascinating observations about the strengths of both. On the way to learning more about theatre and performance, each individual is also discovering more about what it is to be a human being, and how these ideas have changed and developed through time. I can’t help feeling that if a lot of people working in the corporate or political spheres had spent more time thinking these things through the world we live in today would be a very different place too.